cookies | Time to Cook! This might be the best cookie I’ve ever sunk my teeth into. I tried it for the first time at my son’s nursery school (it’s a teacher favorite there) and have been addicted ever since. 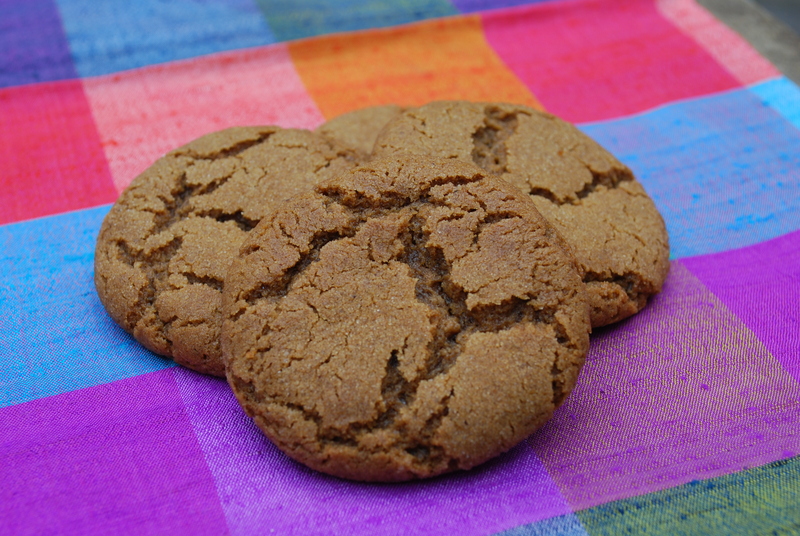 These cookies have a wonderful chewy, yet crispy texture and the strong flavors of ginger, cinnamon and molasses make it a great winter treat. This is a perfect holiday cookie. Recipe from “Teacher Jinny”; published in Woman’s Day Magazine 12/25/90 issue and adapted from Country Tastes by Beatrice Ojakangas. Mix flour, baking soda, cinnamon, ginger, cloves, and salt. Beat butter and brown sugar in a large bowl with electric mixer until pale. Beat in molasses and egg (mixture will look curdled). Gradually beat in flour mixture until blended. Cover and refrigerate for 1 hour or until firm enough to handle. Heat oven to 350 degrees. Have cookie sheets ready. Put granulated sugar into a small bowl. Shape tablespoonfuls of dough into 1 1/4 inch balls. Roll in sugar to coat. Place 1 1/2 inches apart on ungreased cookie sheets. 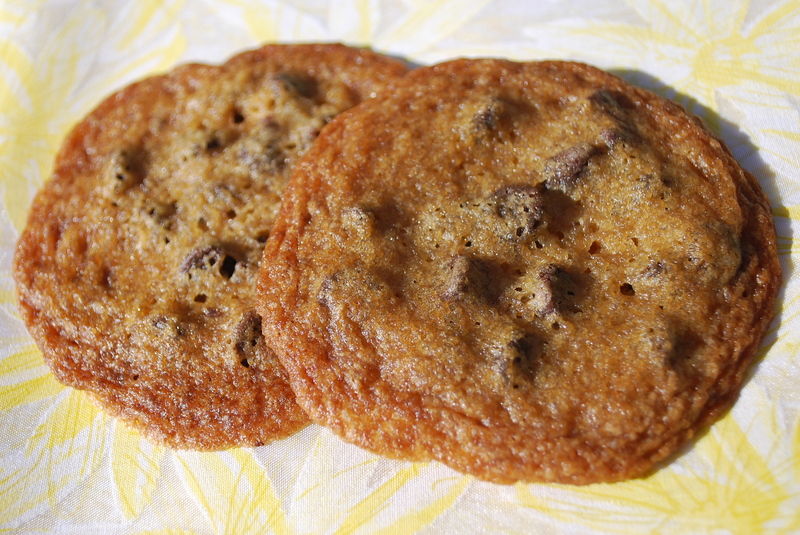 Bake for 10-12 minutes until tops crack but cookies are still soft to the touch. Remove to wire rack and cool completely. Store airtight at room temperature for up to 3 weeks.